So here it is. I’ve been waiting for the list to be put up in the NYT site, but it is this morning. 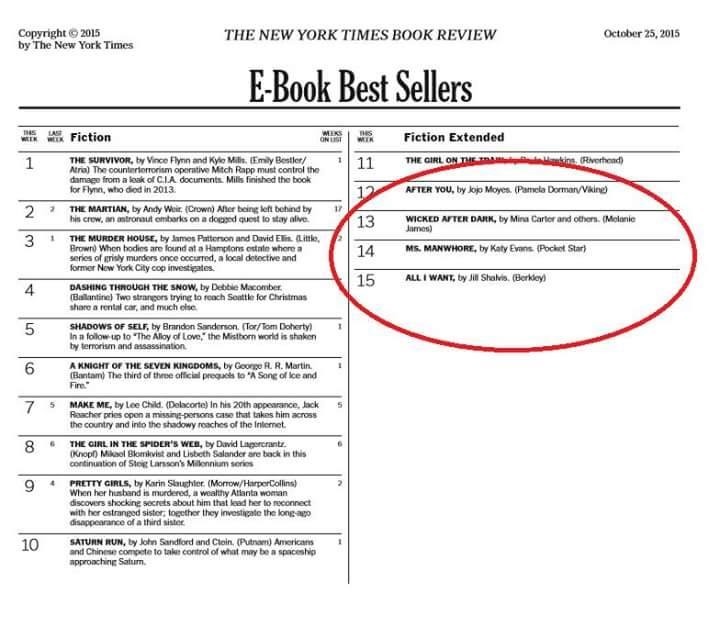 It’s official Wicked After Dark hit #13 on the NYT bestseller’s list. Here’s a shot of the list. I found out a couple days ago but I was waiting for the list to be on the site to post it here.. I’m still floating on cloud 9.